Once upon a time ago, I had baby Ava, we did all the research and decided upon the car seat. Then she grew a little more and we were faced with “when do you change the car seat for a toddler. At approximately a year, we did a car seat upgrade. We had purchased the car seat that went from rear facing/forward facing seat. When Ava hit the right age and height, it became a booster seat. At that time, it was an amazing car seat! Now introduce young Zoe, I can admit that I am a frugal mama. We are still using that older car seat. While it’s not an expired car seat, I truly often wonder if it’s the safest option! I learned even though the seat is not expired, that doesn’t mean it is the best option. With many improvements made to current car seats, vehicles have evolved; we learn more about safety and technology progresses. After worrisome nights and countless research, we chose to hand in the old car seat and get Zoe something new. 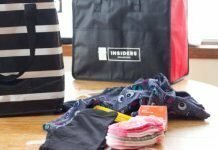 Why should I do a Car seat upgrade? We finally chose to upgrade to the Diono Radian RXT. One of many reasons why is that I drive a VW Golf. This means that I need something that suits a smaller car. Even though it’s slimmer, it has a sturdy weight! I loved that there were plenty of colour options making it easy to choose. We went with purple for a little personality! Built with premium materials and a steel alloy frame with aluminum reinforced side walls, it was clear this is one of our safest options. 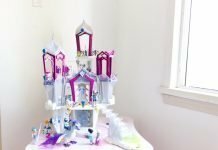 Throw in energy absorbing EPS foam, and a five-point harness to put your mind at ease. 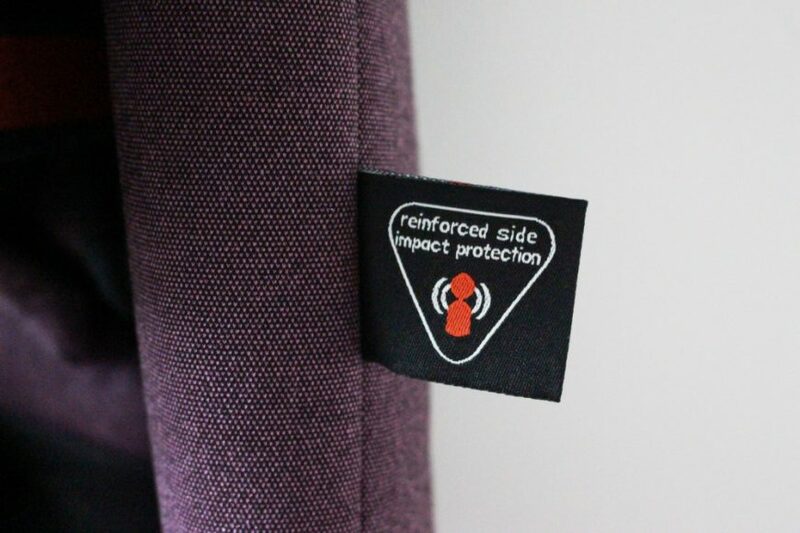 Furthermore, the reinforced 12-position adjustable headrest adjustable that provides additional side impact protection. Next thing that really made me fall in love aside from the fact that it was MUCH smaller than our current car seat is the unique SuperLATCH system that makes installation easy. Honestly, it is as simple as squeezing the red button and it releases. If I do need to switch the car seat into another car, I won’t be spending 10 minutes cursing out the car seat because I cannot get it to unlatch! Furthermore, it fits 3 across in most mid-size vehicles, folds flat for travel and is FAA certified! 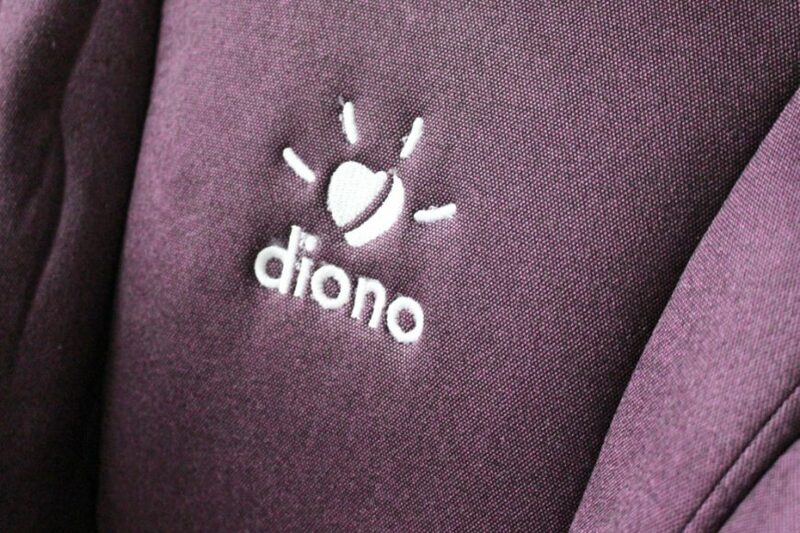 It’s clear that Diono has done their due diligence in ensuring that they have taken every measure possible to make safety their biggest priority! The Diono Radian RXT is also NCAP crash tested, the industry benchmark for verifying child seat performance in severe accident conditions. 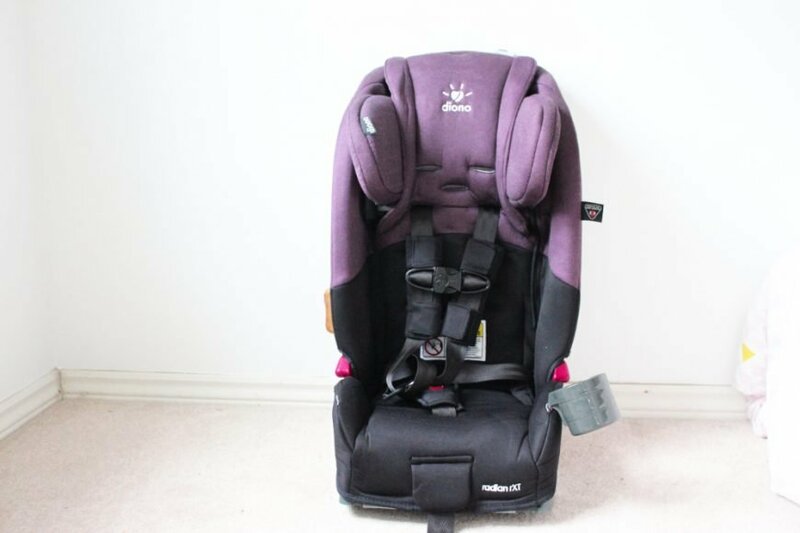 If I’ve haven’t sold you on this car seat upgrade yet, keep reading! The Diono Radian RXT is making our time on the road much less worrisome as I know that she will be safe no matter what. With Zoe safely strapped into her, 5 shoulder and 3 buckle positions, Zoe is riding in comfort and I have a peace of mind! 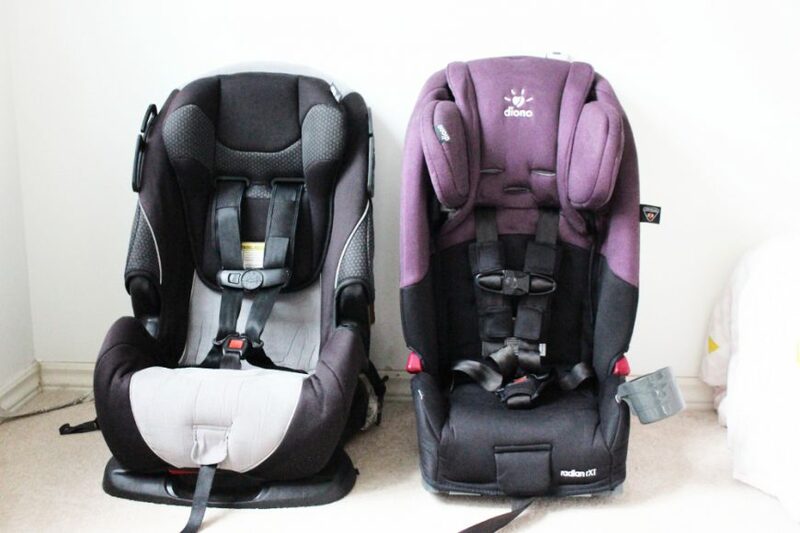 I cannot even begin to tell you how much we’ve all loved the Diono Radian RXT car seat upgrade! 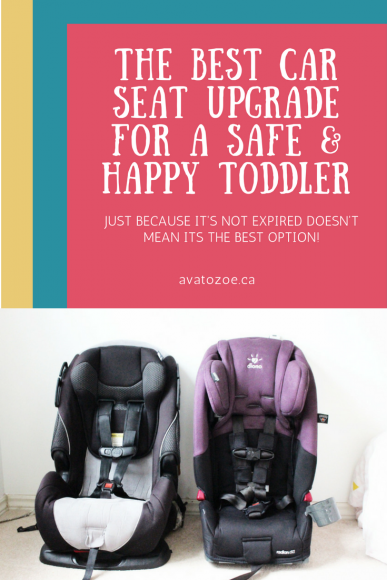 It’s hard to know when to upgrade seats for a toddler but with a SafeStop® energy-absorbing harness, expandable sides and long seat bottom, it was an easy choice. 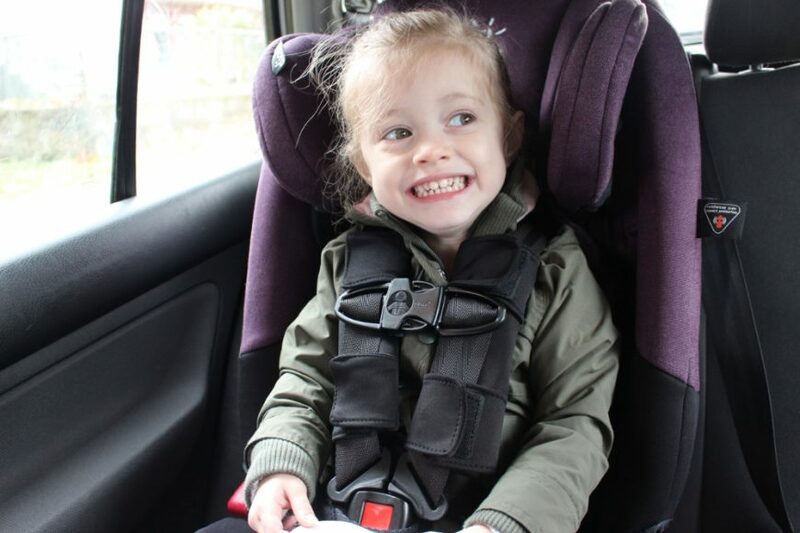 Zoe loves the low-sitting profile, as this feature has given her big kid confidence being able to easily hop into her car seat like a big girl. As parents we worry, when to change the car seat for toddlers, are they safe? Is it time for a car seat upgrade? For us, with all these safety features in mind, it was an easy decision to do a Car Seat Upgrade. Disclaimer: We received this car seat for inclusion in this post. All opinions expressed in this post are 100% my own. I only bring you the very best! This Diono Radian RXT is mommy and Zoe approved! So informative! 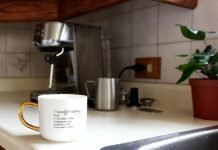 I’d never have thought of this if you hadn’t mentioned it, some good points to consider!